Do you wish you could have your dental treatment without the need for impressions? Impressions are taken when we need to transfer a copy of your mouth to the dental technician to make your crown, bridge or veneers a perfect fit. Conventional impressions involves making a mould of your mouth by placing a tray filled with impression material in the mouth for a few minutes. Over the last few years a new wave of digital scanners have been hitting the market and we have invested in this technology. 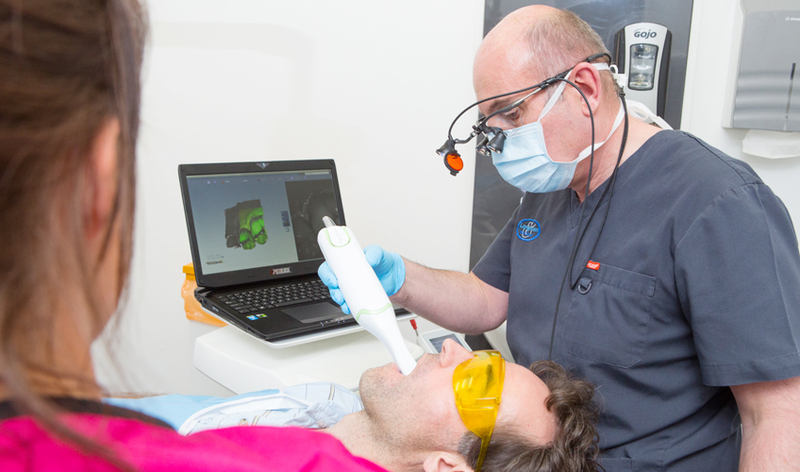 The digital scanner captures clear and highly accurate impression data in minutes, without the need for traditional impression materials that some patients find inconvenient and messy. We place the scanner gently in your mouth and take a series of pictures. These digital impressions remove any chance of distortion and your new crown is made on a computerised milling machine.